We love adding new products to the AllegroMedical.com site. So much so that we add them every day. And because it is the holiday season, we’ve added some fun products related to lifestyle, grooming and relaxation – all in the name of good health, independence and well-being. Happy shopping! Breeza Warm – Deodorizing and Warming Toilet Seat – Make your tooshie happy with this amazing new toilet seat from Brondell. It combines odor elimination, aromatherapy and a one-touch, temperature-adjusted heated seat. Ultra Plush Shiatsu Pillow – Treat yourself to a deep-kneading, heated massage anywhere on your body – anytime you need it. Conair 13-Piece Rechargeable Beard and Mustache Trimmer – Gentlemen, look no further. You have found the perfect grooming tool. It even has a nose and ear hair attachment. Use them . . . please. SteamBuddy Handheld Clothing Steamer – Smooths out wrinkles and eliminates odors from the heaviest denim to the finest silk. No more ironing! Great for travel. HealthSmart Sports Auto Wrist BP Monitor – A digital blood pressure monitor with a 2-user memory storage. Prettier in pink? Get the Women’s Automatic Wrist Digital BP Monitor instead. 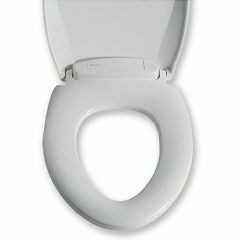 Clamp-on Raised Toilet Seat with Arms – A contoured seat with arms. Attaches without tools and fits on most toilets. Great for those with limited mobility, knee pain, hip replacements or post-surgery. Clock Radio for iPod and iPhone – This Sony clock radio will have you waking up to your own music or your favorite radio station. It even has a remote control so you can manage your tunes from around the room. Cool, man. Folding Travel Cane – Slimline – The perfect cane for travel or anytime – in every color and pattern imaginable. Sized for a women’s hand. Beautiful maple handle. Interplak Water Jet Tips Pack – 2 standard waterjet tips, 1 brush head tip and 1 subgingival tip. Fits ALL Interplak Dental Water Jet models. The Sushi Box Sushi Rolling Kit – Includes a 32-page recipe book, bamboo rolling mat, chopsticks, bowl for dipping sauce and green plastic grass. Buy one for each guest and have a sushi party!! Thank you for shopping at AllegroMedical.com! There’s always something new. Come back soon.